The great things about skirmish figures is that the units are small and I find them quick to paint. Over the last couple of weeks I have managed to fit in another 16 figures between the Napoleonics. 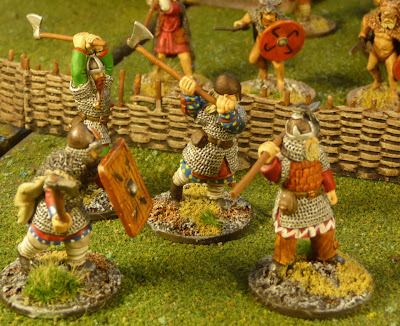 These are the last two points for my Viking Warband, I now have 6 points of Vikings, the standard sized Warband for SAGA. 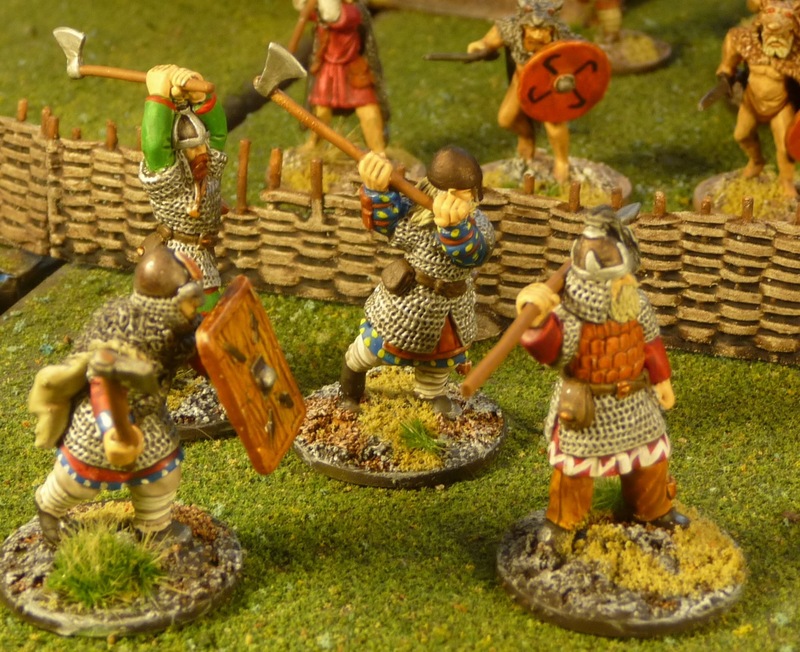 All Gripping Beast figures. 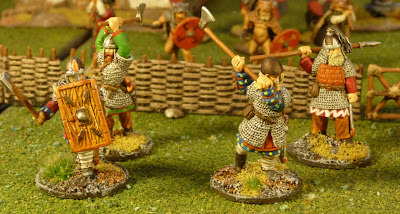 First up is another Hearthguard unit, here I used the Jomsvikings pack, these are great looking figures, and I really enjoyed painting them. I attempted a more complex cloth pattern then previous. I am not really sure though if I will play them as Jomsvikings. My last unit is the levy for the Vikings, the unit is bow armed. I am looking forward to see how they do against the Skraelings. Here we have all 6 points, I have to say I really enjoyed painting something different then Napoleonics. There has been a lot of action on the SAGA front with multiple new Warbands and a new supplement coming out in November. I hope to paint one more Warband, this time with mounted figures, so many choices now......it is going to be difficult. In the interim, though I have a new Warlord for SAGA on the painting desk. Anyone want to make a guess? Nice painting John, a nice little touch adding the patterns to the figures clothes, as for the leader figure, its probably the one I'm painting up now!! Very nice warband! I guess that your next warlord has to be someone mounted, William the B, perhaps? These are very nice John..
Great work, John. 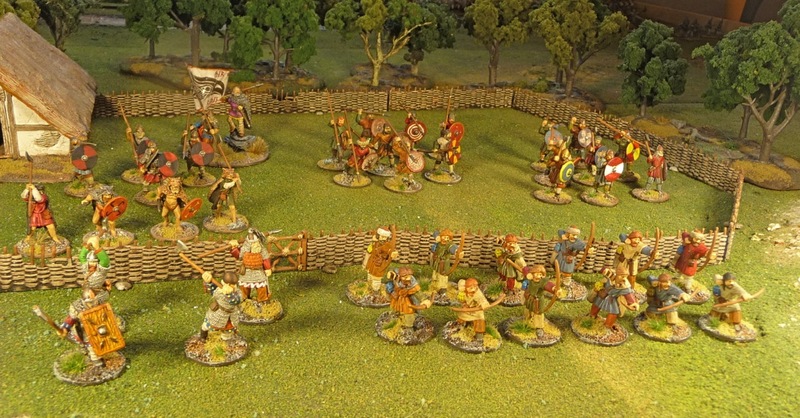 Those Jomsvikings turned out very nicely. Hey, don't I still need a viking from you from the last Painting Challenge? We'll have to discuss this matter over a glass of wine next week. Lovely work John, much better than Ray's! 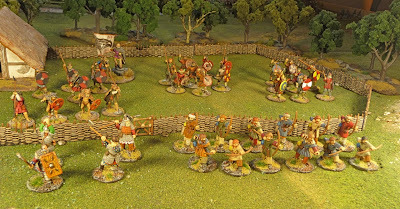 Very nicely painted Vikings !